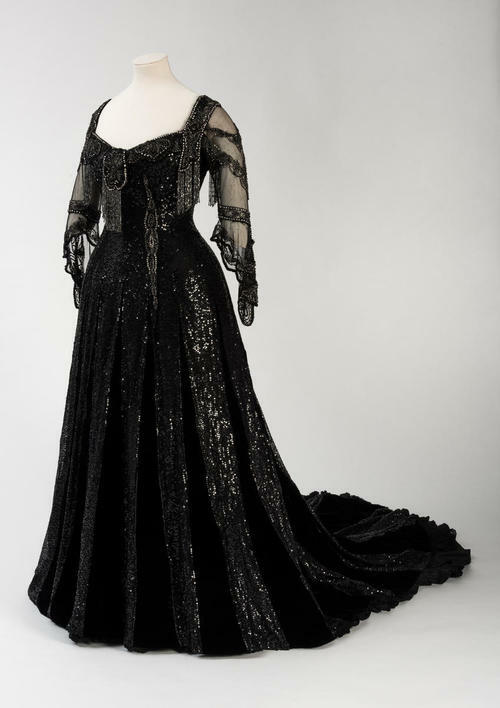 A black silk and velvet evening gown embellished with beads and sequins that used to belong to Alexandra of Denmark, who became Queen of the United Kingdom as the wife of King Edward VII, has been discovered hidden away in a private collection. The dress date to around 1908-1910. 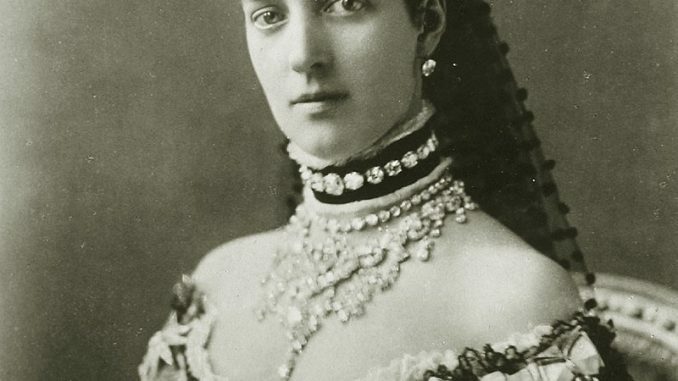 It was designed for Queen Alexandra by Parisian-styled London dressmaker Baroletof Knightsbridge and has Alexandra’s signature black and gold name tag sewn into the waist tape. The gown will now become a treasured part of the museum collection and it will appear on display in the Royal Women exhibition from 7 September. Royal Women, which runs until 28 April 2019 features fashions worn by four successive generations of women in the royal family including Queen Alexandra, Queen Mary, Queen Elizabeth The Queen Mother, and Princess Margaret.